The Franciscan Monastery started to be built in 1727 and was completed and furnished towards the end of the 18th century. The main reason why the construction took so long (almost 70 years) was the fact that all required funds were collected through voluntary donations of citizens. 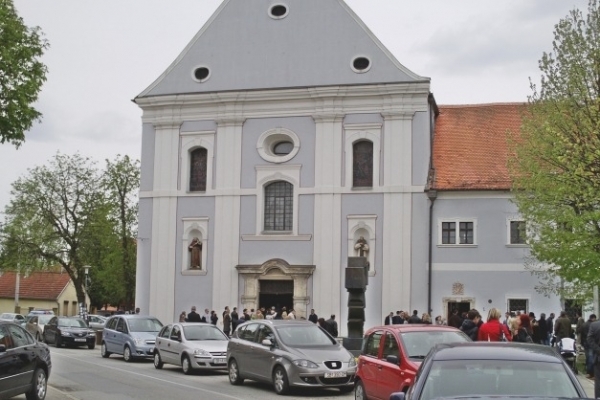 This fact reinforces the awareness of the value, beauty and exuberance of the Franciscan Monastery in Slavonski Brod. The monastery consists of three tracts which together with the church form a closed square-shaped cloister. 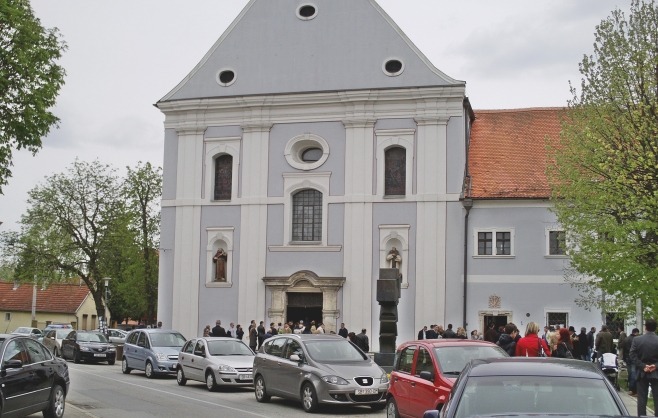 The exterior of the monastery exudes elegant simplicity and despite the fact that its basic form was shaped in the Baroque period, its lines are soft, graceful and smooth. Exterior ornaments are almost non-existent, which accentuates the pastoral role of the building. As opposed to this, the interior of the church reveals the Baroque exuberance, liveliness and cheerfulness. 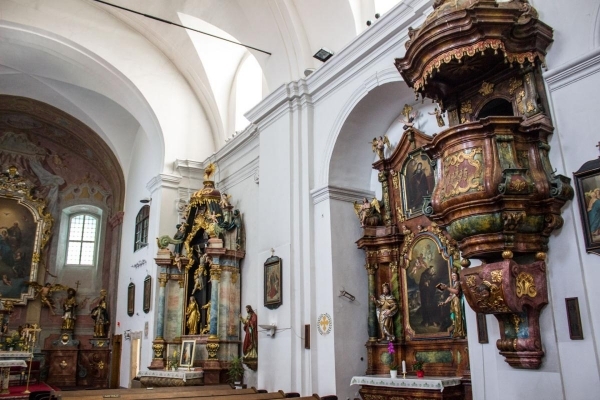 The altar of almost pompous splendour is the best example of how deeply steeped in the European Baroque heritage the Franciscan Monastery and the town were. 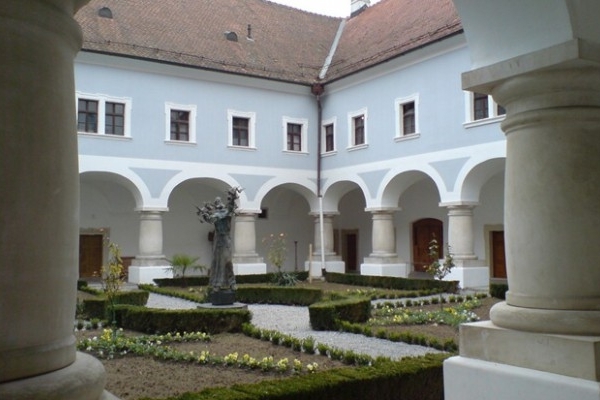 The cloister of the Franciscan Monastery in Slavonski Brod is the most stately cloister of Baroque monastery architecture, but also one of the finest examples of Baroque architecture in Slavonia.